Look like a fashion star is parties and function with this gorgeous blue color party wear designer suit. 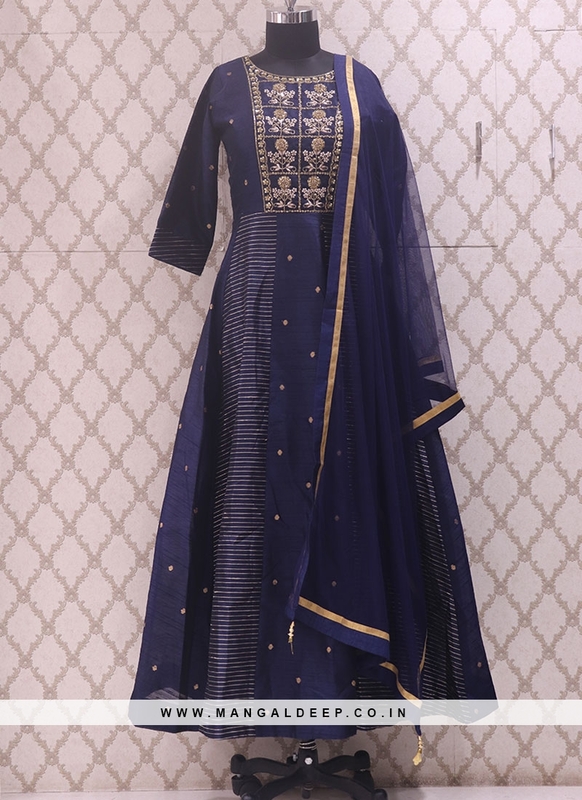 This festive wear silk suit is decorated with embroidery work. Sonal Chauhan Cream And R..